Cryptosporidia are nasty little protozoan parasites that affect not just cats but dogs, rodents, calves, and humans, as well. These little buggers are very infectious and affect your cat’s gastrointestinal tract, sometimes causing symptoms such as diarrhea. This bug is spread through infected feces, which can contaminate water sources or the environment. Cats that ingest the contaminated feces can become infected. Cryptosporidiosis usually occurs in kittens younger than 6 months of age. Cats with healthy immune systems usually recover quickly and never show signs of infection, or have only mild diarrhea. However, this disease can be life-threatening for cats with severely compromised immune systems. As mentioned, cats with healthy immune systems often have no symptoms at all. 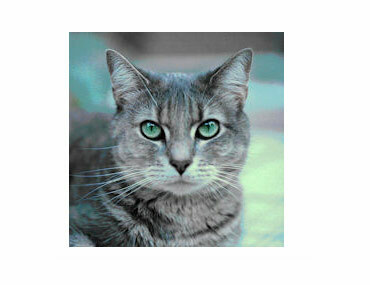 If your cat is symptomatic, you may notice diarrhea, fever, and a lack of interest in food. In many cases, asymptomatic cats recover from cryptosporidiosis on their own. If your pet needs treatment, your veterinarian may prescribe an antibiotic and a prescription diet to help control the diarrhea. In severe cases, additional supportive care, such as fluid-replacement therapy to alleviate the dehydration caused by diarrhea, may also be required. The best way to prevent a cryptosporidiosis infection is to provide your pet with clean drinking water and a clean environment, and to keep her strictly indoors!